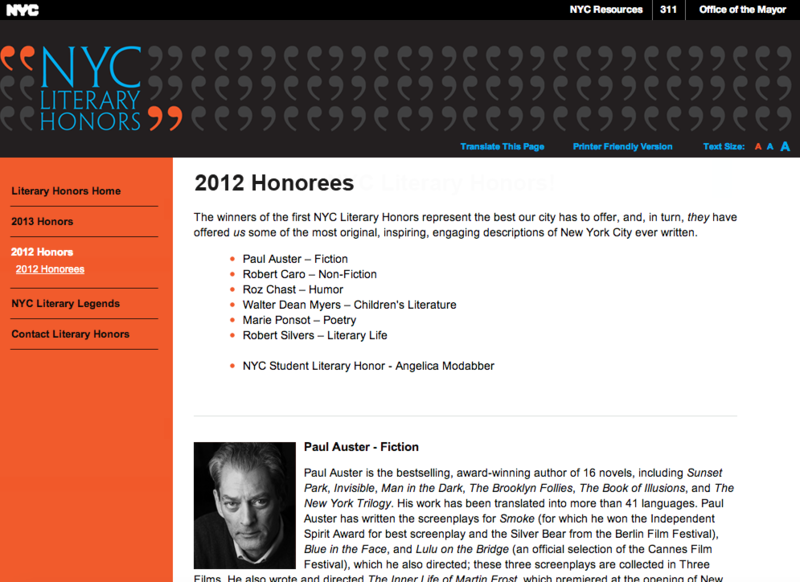 In 2012, Mayor Bloomberg hosted the first NYC Literary Honors, an event to celebrate great New York authors. I proposed the quotation-mark logo concept, worked with a designer to build the Literary Honors web page, and contributed language and editing to the mayor's speech. In 2013, the City hosted a second Literary Honors, reusing many assets. Skills: writing, website testing, collaborating across disciplines.